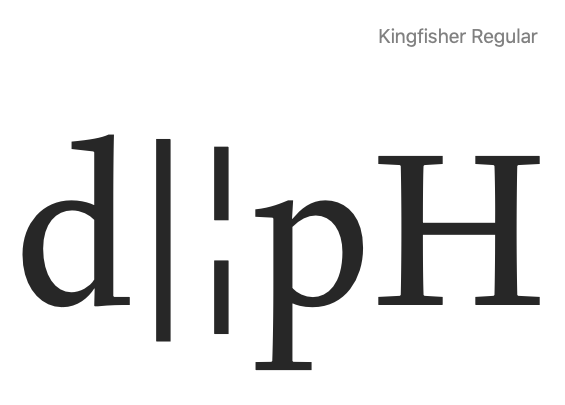 In some typefaces bar and broken bar share the same height and depth, but in a great number of designs, they are not identical. I am wondering what the rationale for this difference is, whether it's just a legacy practice, or if there is a current use scenario that requires either same height or differing height. Or is it because the broken bar can appear to be taller than the bar when it aligns vertically with the bar? Perhaps the broken bar gap is also included at the top or bottom (or split between the top and bottom) for the dashed line effect when set solid to make a vertical line. That's a good explanation for the legacy practice, but are contemporary designs that change their height also following this somewhat obsolete idea? I have no idea. I make mine the same height. I'd be curious to see examples. Although it might be interesting, their historical use isn't especially relevant to designing them to accommodate how people use them today. As a graphic designer/art director myself, I've never used a broken bar for anything — not even sure I've ever seen them used at all. I have, however, used bars as dividers between links and submenus on websites. I make bar and broken bar the same height. For a while recently I was making them both long enough to ensure that with any normal line spacing, they will overlap from one line to the next. That way bar can provide a continuous line, and broken bar has one gap, in the middle of each line. But I gather that is not a common use case and there are other linedraw characters for that, so I am discontinuing that approach. I wonder if perhaps some designers think "hey, we can make broken bar shorter, and have a gap between lines as well as in the middle." The problem with this theory is that the gap between lines is subject to the leading, and to different apps using different leading: auto-leading is either 20%, or based on WinAscent/WinDescent, or possibly font bounding box. So, even without the user doing anything to line spacing, this will almost certainly make that inter-line gap inconsistent with the gap inside the broken bar, in at least some apps. I think that looks weird, so I don't do that. Historically, as I recall, they've been the same height. There has also been confusion with some terminals and computers in which the default bar symbol was broken (e.g., early 1980s IBM PC). Some early CRT terminals, e.g., ADM-3A with the upper/lowercase feature, had a broken bar for its bar. Also, some of the paper terminals, e.g., DECwriter LA36, if I recall correctly, also used a broken bar for the bar symbol. Later, some character sets/fonts that could be used on the DEC VT320, and others, included both the solid bar and an additional broken bar, but also with the same height. 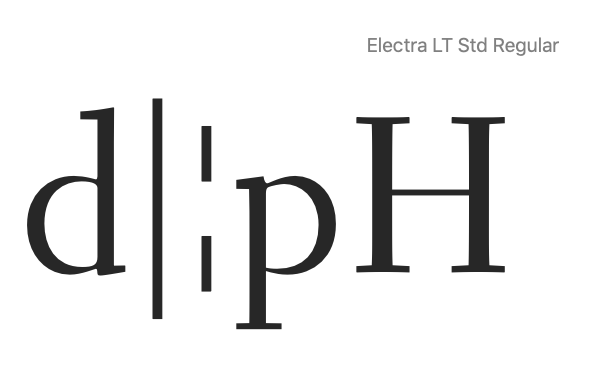 I'd venture a guess that some current fonts are using Mark's logic of creating a dashed effect. My opinion: make them the same height. 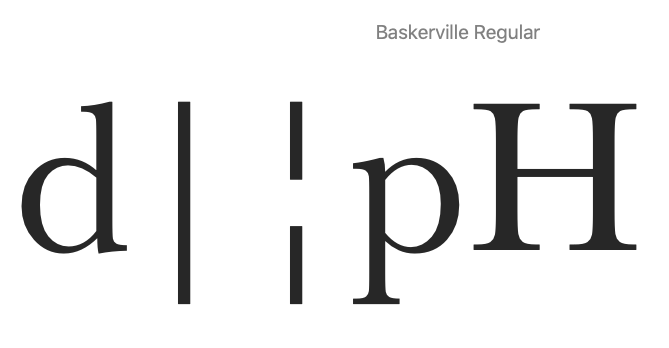 Consider the box drawing glyphs for handling drawing vertically dashed lines. Of course, if you have a reason for choosing otherwise, do so. Hopefully my memory is correct on those details. It's been close to 40 years since I used some of that gear. 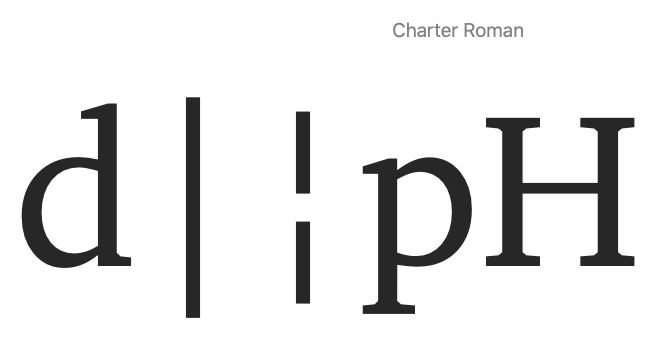 If you're interested in more of the historical details, I'd suggest looking at some of the early international standards on character sets and programming languages, perhaps PL/I. You might be able to find additional discussion references in old Usenet archives. Bar (| U+007C) is used as a delimiter in math, often paired with other brackets so for that use I always make it the same hight and depth as other brackets. No idea what broken bar is used for. Wikipedia says the broken bar is an allograph of the vertical bar and has “hardly any practical application”. As Khaled says, the | bar character is used as a delimiter in math; it is also used in various other branches of academic publishing e.g. to mark separation of lines in transcription. 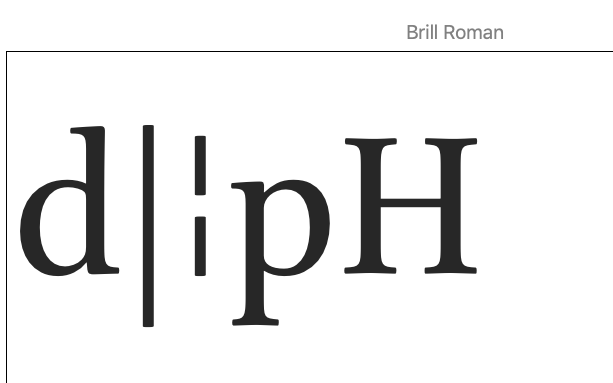 For math use, the bar height should be the same as that of other delimiters; to humanities use, I usually make it the combined height of visible ascender + descender. I think that was one use of those characters, but now there are linedraw characters for that purpose, e.g. │ U+2502 BOX DRAWINGS LIGHT VERTICAL. As with other box draw characters, not only the height but also the width of this character is important. Similar to its use as a math delimiter, the bar is used as an operator in various programming/scripting languages. Thank you for all your insights! From a cursory view, it seems as if most designs in which they have differing heights aim for the dashed line effect. Then there are those with identical heights, which seems like the default solution. And then there's Brill... John, did your brief specify this specific alignment? The bar is also used a an alternative to a bullet in typesetting. If you want to separate information and make it look groovy, a bar is always a better choice than a bullet. These things have always been just one of Type's mysteries to me. . Thanks for clarifying. Note that the solid bar on the 6th line is part of the line-drawing characters. Following the introduction of ISO 9241-3, IBM introduced new fonts in PC DOS 5.02. The broken bar pipe character was replaced by one with a solid bar. I would imagine the reason for having both bar and broken bar is to maintain that distinction.